As a boutique contact centre, our business is all about proactivity, our commitment to industry leading communication and management begins with energetic and passionate people. Our teams are dedicated to achieving and exceeding our clients’ goals. We understand the importance of each contact with your customers and we also understand that every interaction is an extension and reflection on your business. That’s why our people are our most important resource, and why they will be your greatest asset. We continue to invest in developing innovative solutions with best in class infrastructure and technology, and in an ongoing commitment to our people, it’s why we continue to be nimble and responsive to your evolving business requirements. We work to help define your campaign strategy, customer journey and custom reporting. If you are Energetic, Friendly, Enthusiastic and enjoy a challenge then we would love to talk to you. 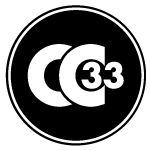 Contact Us now to find out more about the exciting career opportunities on offer at CC33!